Cogworks inspires my cinematic offerings with so much knowledge and great products, genuinely a unique balance between technical knowledge means MHT ensures our clients are up to date on new technology/products relevant to the private cinema market. Cogworks gives me the edge over other startup theatre installer businesses by growing our expertise. I look forward to thriving with Cogworks as the source of inspiration for Home cinema offerings. 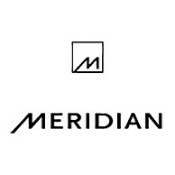 Over 40years Meridian’s key innovation was to make music sound like music in a digital delivery world. Of course the convenience of digital is excellent but music’s origins are analong like an instrument. Research and development at the their Cambridgeshire, U.K headquarters are conceived both software and hardware innovations. 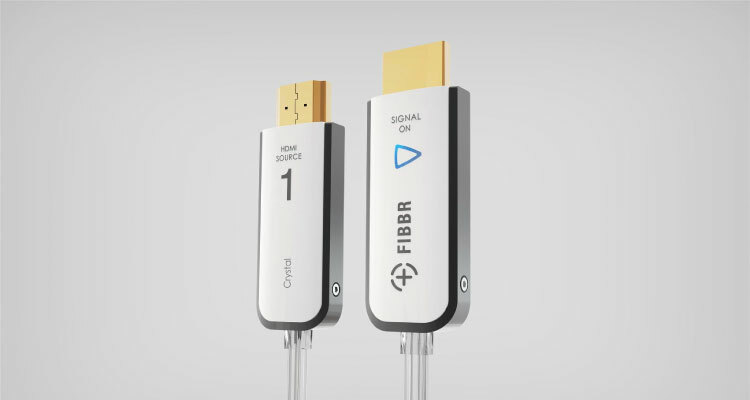 Conceived in 2001 from a swag of incredibly smart university students, this French incubator spawned Tri-Innovations in 3D audio, later becoming Trinnov making black boxes with the amazing discoveries in 3D audio. In recent times Trinnov has become the industry authority in Immersive Audio codecs that complement modern movie and tv series content. Terra are built to endure all climate conditions, and they are presently doing so in every imaginable climate throughout the world. Most all-climate speakers are actually “weather resistant”. They will last a few years at most and then they require replacement. Most don’t come close to high fidelity, even when they are new. Terra speakers, on the other hand, will last for years in the most difficult climates and deliver great sound all the while. 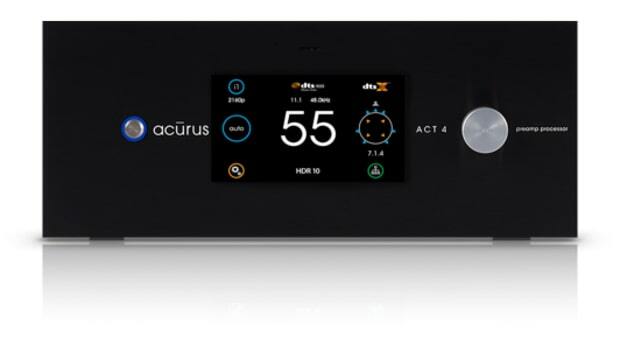 Hand-assembled and tested with pride, Acurus has been manufactured on state-of-the-art componentry for over 20 years, Acurus origins from ultra high-end audio brands from engineers with years of dedicated research, extensive testing & refinement. Boasting high-end audio performance combined with unprecedented integrator control and connectivity. 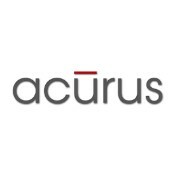 Since 1993, Acurus has been delivering high-value, high-performance electronics. You will expect years of trouble-free operation from your Acurus investment. Extracting every last pixel perfection from a display device is what Lumagen does best. 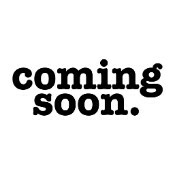 Demonstrated leading-edge video processing technologies developed specifically for the Pro Home Cinema market. 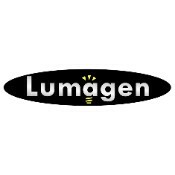 Lumagen has unique video scaling technologies that ensures Standard Definition comes out looking every bit as great as high definition. For the minimalist that wants the maximum sound quality, there is Nakymatone’s Invisible speakers. Not all invisible speakers are cut from the same cloth. 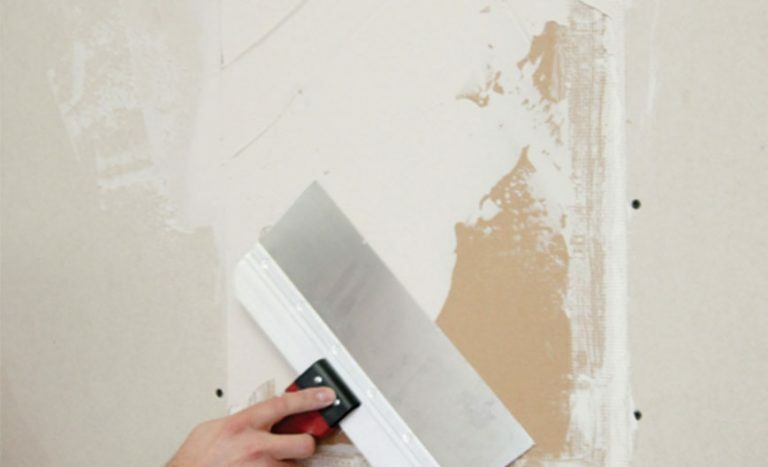 Many are a pain to install and those that chose to use poor quality invisible run the risk of plasterboard cracking with undesired engineering practices. Thankfully, Nakymatone got off on the right foot with Controlled Resonance Technology…a vibrating board that works similar to a musical instrument. The result, amazing sound that out of sight. Tired of seeing those black bars top and bottom of your screen? Shoot 4K and not 3K with Panamorph, the only Lens designed for the resolution geometry of your respective Projector. The Paladin series has both a normal Paladin for 4K resolutions 3840px wide and the Paladin DCR is geometrically suited to 4096px wide chips from Sony and JVC. More clients are asking for anamorphic 4K cinema for all the right reasons and the Panamorph is the ‘go to’ lens. It just happens to be sold with systems that have lower cost projectors because of the higher volumes made by projector manufatueres. The Paladin is compatible with future projectors even up to 8K, so you will appreciate only need ing to purchase the lens once . Cinemas that hit refefrence could be an annoyance to ajoining rooms to your cinema. When sound isolation is a critera we enlist Gree Glue’s specialist products to help isolate the sound from the cinema room. Using different techniques and products reduced a huge amount of sound energy that could otherwise leave the room whilst in operation. 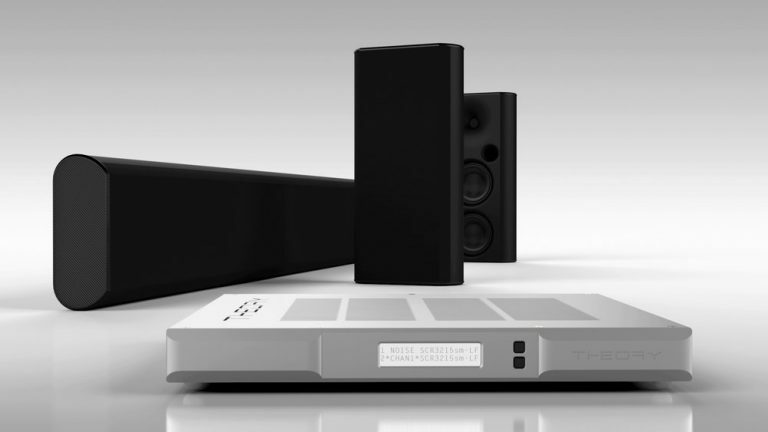 Launched with much sucess at CEDIA 2018, Theory Audio Design makes an media room come to like with huge SPL and razor accurate native DSP controlled loudspeakers. 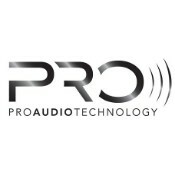 Theory shares the enourmous capabilities of its sister company PRO Audio Technology. 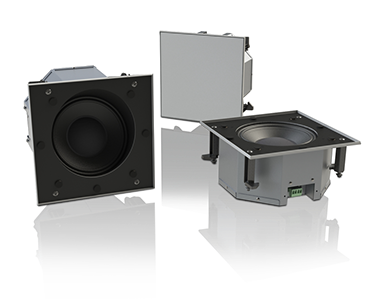 Specifically designed to boast delivered superior performance to its respective priced passive speaker competition with larger drivers, Theory packs a punch and enables easier installation coupled with enduring quality. 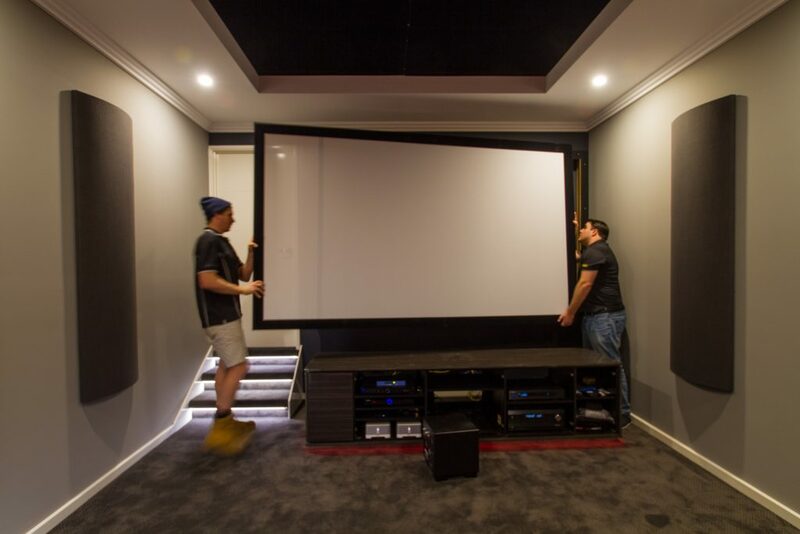 USA’s leading screen surface manufacturer to commercial cinemas including IMAX and studio grade screening rooms, Severtson manufacture a wide arraying of screen solutions from the best 4K Acoustically transparent screen material on the market to high contrasting grey screens for specific environment situations. USA made quality frames ensure for a lifetime of entertainment.